Linda Kay McLaws McFarland passed away Jan. 17 in Salt Lake City due to respiratory failure with her children by her side. Linda was born July 1, 1944, in Tooele to William and Helen McLaws. She attended schools in Tooele. She had worked as a technician at Tooele Valley Hospital, a dental assistant for many years and as a real estate agent. Linda married Gary McFarland on Nov. 18, 1966. They enjoyed many activities together, like horse racing, camping, kids sports and most of all raising their children. Gary’s work took them to Tucson and Mammoth, Ariz., for 12 years before returning to Tooele in 2000. Linda was a wonderful mother, sister and friend. She had a witty personality and a fun sense of humor. 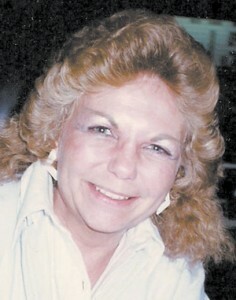 Linda was preceded in death by her husband Gary (Oct. 1, 2007), parents, brother Bill McLaws and nephew Travis Griffith. Linda is survived by her son Ron (Secret) McFarland, Kearns; daughters Chris (Mark) Riddle, Stansbury Park; Traci (Craig) Rydalch, Grantsville; grandchildren Michelle (Chris) Quick, Kacee Robinson, Kayla Robinson, Dillon (Jordan) Rydalch and Dalton Rydalch; great-grandchildren Kanin, Gage and Colter; sister Nancy (Monte) Griffith, Tooele; and many nieces and nephews. Linda will be deeply missed by her family and friends. The family gives a heartfelt thanks to the staff at Diamond Jane’s Assisted Living for her care the past few years. There will be a viewing Jan. 23 from noon to 1 p.m. with services to follow at 1 p.m. at Tate Mortuary, 110 S. Main St., Tooele.